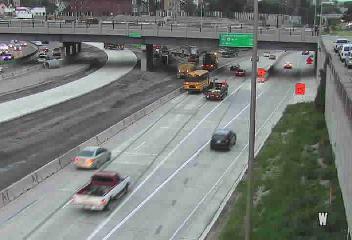 All lanes of westbound I-94 in downtown Minneapolis at the I-35W exit have reopened, but overnight road work that ran late and created a huge backup will take some time to shake loose. At 7:15 a.m., traffic was still crawling from Hwy. 280 into downtown, so commuters will still face big delays until things recover. MnDOT had the freeway slimmed down to one lane overnight and the lanes near 35W were to have opened by 6 a.m. They opened about an hour late.